Admin: you need to go to Users → select a user → Edit user and check/uncheck the has admin privileges option. Project manager: you need to go to Users → select a user → Assigned projects, check the desired projects and check the option to set the user as project manager. If you click on Edit user you are able to give the project manager more privileges like adding projects, invoices, estimates and expenses. 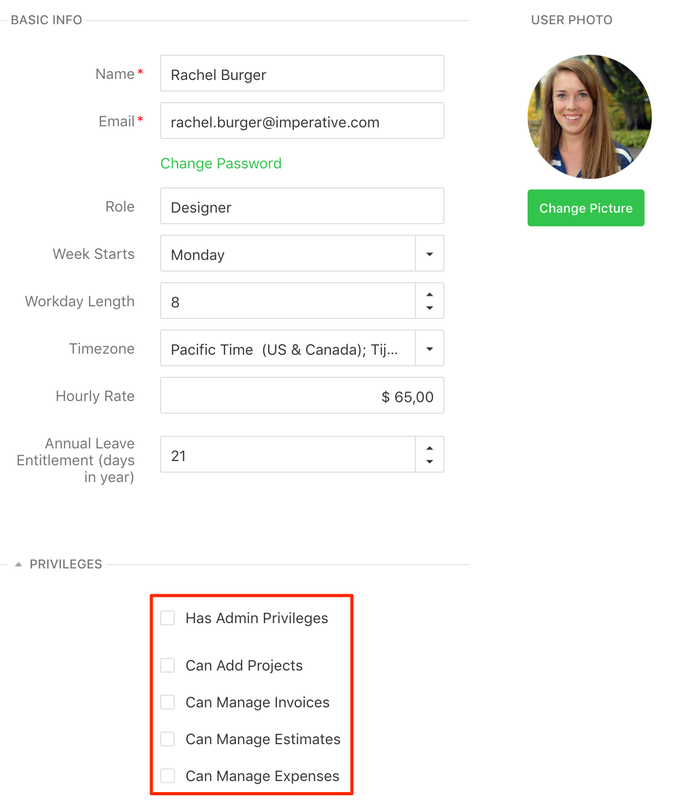 Regular user: you need to go to Users → select a user → Edit user and allow him to add projects or to manage expenses, estimates and invoices. If the user creates a project, he will be able to manage that project, including assigning users, checking their timesheets, setting the billing rates etc.